MSM, (methylsulfonymethane), is an organic form of sulfur. In its purified form it's an odorless white crystal, looking like table sugar. It's not a medicine or drug. It's a natural substance, occurring in the body and plants. It occurs naturally in the environment and is present in rainwater. It's a naturally occurring nutrient found in small of foods. MSM is altered or destroyed when foods are processed. When made correctly, as a synthesized dietary supplement, it's close to that found in nature. Sulfur is a pale yellow, odorless, brittle solid; insoluble in water but soluble in carbon disulphide. It's found in meteorites, volcanoes and hot springs. It's recovered, commercially, from salt domes along the gulf coast of the USA. It's a small constituent of fats, body fluids and skeletal minerals. It's essential for life. Many manufacturers use the inferior crystallization process because it's cheaper. Purity of MSM may be compromised during this process. Crystillalized MSM is dependent on raw materials and water quality used to separate impurities and manufacturing by-products. Occlusions can develop entrapping contaminants. For instance, trace amounts of lead or mercury, may build up. If MSM is produced at manufacturers that produce synthetic chemicals then other contamination may occur. This MSM may contain traces of pesticides. Distillation is the superior purification method of MSM. This method uses heat to separate impurities and manufacturing by-products. This method has a low moisture content, reducing risk of microbial contamination and product degradation. Four times distilled OptiMSM can be high quality at 99.9% pure. Raw Power brand MSM is plant derived made from natural wood pulp of pine trees and needles. It's a high quality, 100% pure, MSM powder produced by a four stage distillation method. CAUTION! MSM occurs naturally in foods like pine nuts and milk but manufacturers may combine ingredients. Check ingredients for allergens or other chemicals that contradict your medical prescriptions. You may be allergic to a sulfur compound. Consult your doctor, if needed. CAUTION! The MSM benefits are many but DO NOT OVERDOSE! An overdose can cause your kidneys and liver to work overtime. Too much waste is released at once. If you're trying to detox, use MSM slowly. Flush toxins out drinking plenty of water. According to the Mayo Clinic, some overdose side effects include: diarrhea, nausea or headaches. Consult your doctor, if needed. Taking MSM as a nutritional supplement is, generally, safe. The MSM Guide states, in thirty years there has been no reported adverse events to MSM. Use high quality MSM and notice how it was produced. The distillation purification method is superior to the crystallization method. You may experience side effects if using an inferior product. There are benefits of MSM but consult your doctor, if needed. MSM is in every cell of the human body. It allows cells to absorb nutrients and expel waste. It enables cells and tissues to release toxins that have built up over years. It keeps skin tissue soft ensuring elasticity. Flexible skin is less prone to wrinkling. The appearance of stretch marks and scars fade. MSM reduces inflammation by equalizing pressure and keeping cell walls supple. It permeates sore muscles and joints. It mends damage that causes arthritic pain. MSM powder is used for making homemade bath salts! It's combined with Dead Sea salts, regular sea salts, Epsom salts, baking soda, cornstarch and goat milk powder. An essential oil adds fragrance. These homemade bath salts allow water and nutrients to flow freely into cells, while allowing waste and toxins to flow out! 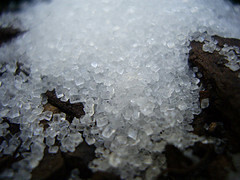 Soaking in a tub of salty water, with MSM powder, enables the process of osmosis to facilitate an exchange of toxins from inside the body for minerals dissolved in water. Cleanse, exfoliate, soothe, detoxify! Find a list of ingredients, below, used to make homemade bath salts and benefits each ingredient offers the body and skin. -- MSM is a powerful, non-toxic, detoxifier! -- Dead Sea salts and regular sea salts have, at least, some amount of every mineral on Earth! Cleopatra bathed in the Dead Sea. This may explain her beauty secrets! -- Goat milk contains natural vitamins A, B, C, D, E and K! It softens and nourishes skin. -- Epsom salts help soothe sore muscles. It relieves aches and pains. -- Cornstarch helps absorb excess moisture in skin. It can provide temporary relief from chicken pox to poison ivy. For mild irritations, it's a good alternative to talcum powder. -- Baking soda has a fine gritty texture. It's a gentle exfoliant. It helps even skin tone and prevent build-up from clogged pores causing acne. -- Drops of soothing essential oil. It's important to understand all about essential oils before using. There are safety pre-cautions to consider. Distinguish the difference between essential oils labeled “natural” vs. “fragrance”. Take time and be sure to read my best essential oils page. DIRECTIONS: Mix ingredients together. Use 2 tablespoons per full bath of water. For unscented bath salts leave out the essential oil. Store homemade bath salts in an air tight container. Since salt does not go bad, everything in this recipe will last, virtually, forever until it gets wet. Do not store as wet bath salts, since the goat milk will go bad.